We didn’t eat here, but I loved this sign on Alberta Street. 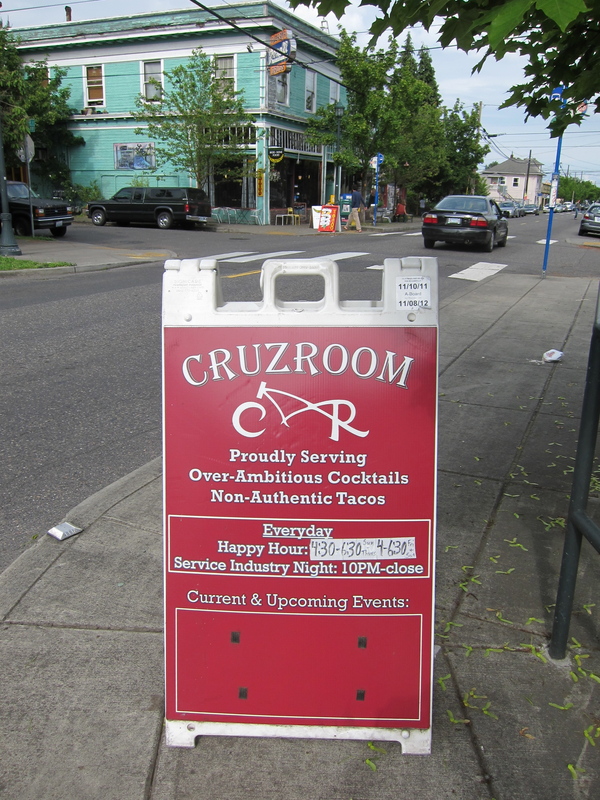 Portland has more of a sense of humor than you might expect from Portlandia. But it’s still not a biting humor. It’s more mildly self-deprecating and still more earnest than anything you would find in New York. Even the mustachioed baristas serving important coffee have kind, open, and beautiful faces. If every man with a mustache was as beautiful as the one at Stumptown, then I say, mustaches for all! 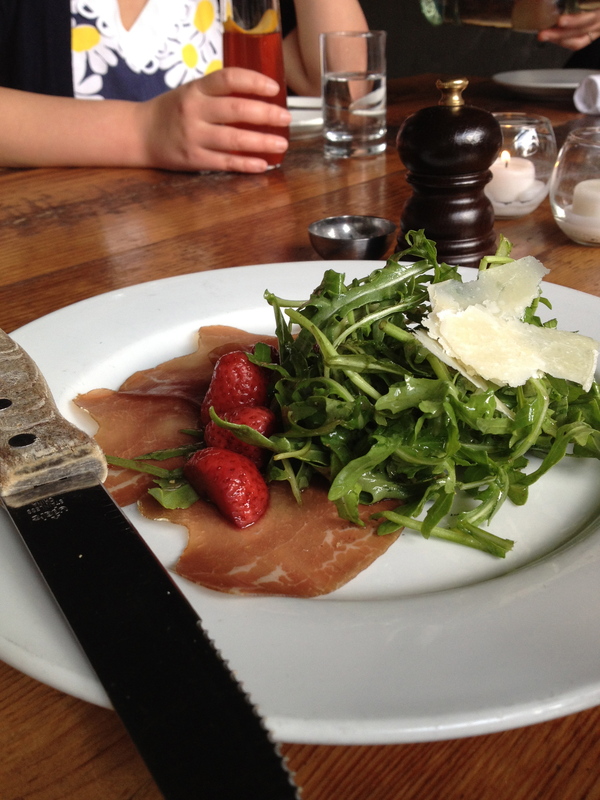 House bresaola with pickled strawberries and arugula at Tasty N Sons. It was a very short trip, and I admit I felt too self-conscious to photo-document everything I ate. We ate at Portland favorites like Tasty n Sons and Pok Pok, where the food and vibe were deliciously casual, not necessarily better than food I might get in New York, but without any weariness or attitude. 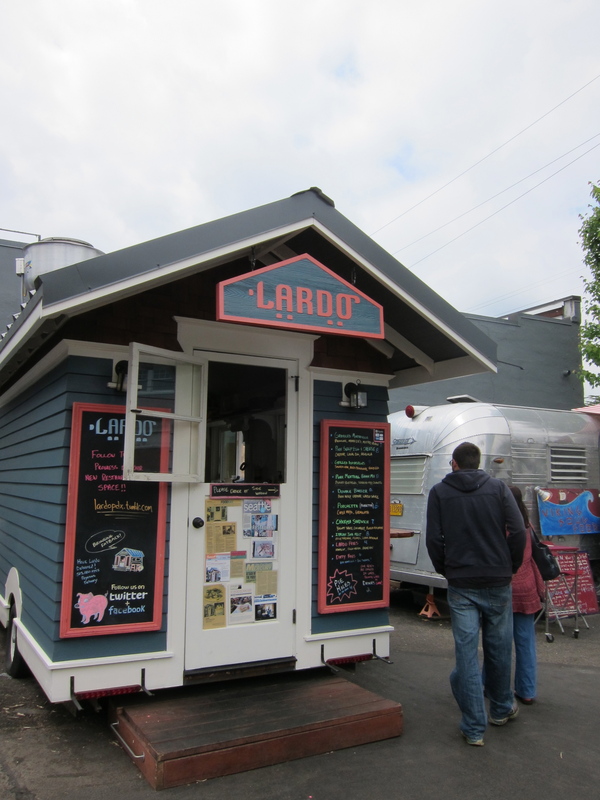 We went to the Good Food Here food cart pod for lunch on Saturday, where the hits were Lardo’s porchetta (oozing with fat and infinitely better than the dull Porchetta at the Brooklyn Flea) and “dirty” fries which are tossed with bits of pork. But really, everything we ate was satisfying and made with care. 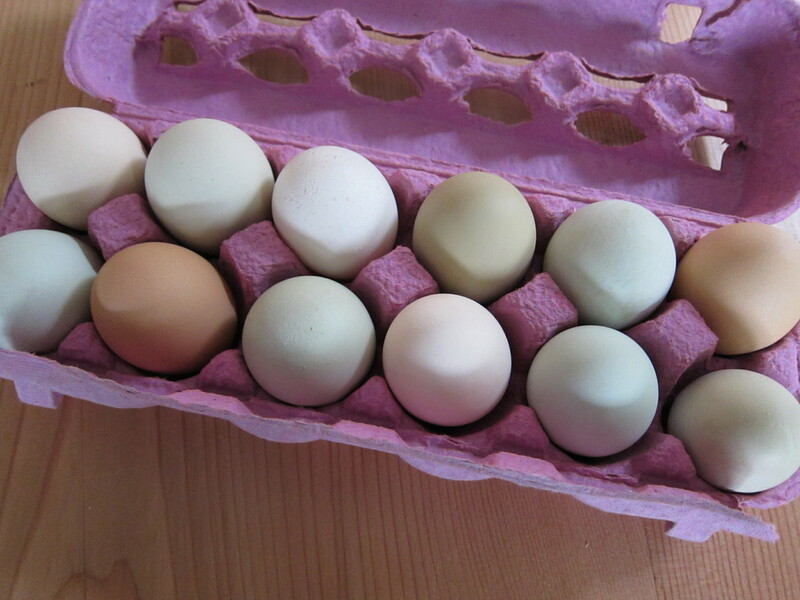 All these eggs went into two frittatas. And Sunday brunch was made at our rental home with eggs, onions and herbs, smoked salmon, the best Jarlsberg ever (which is a greater endorsement than you might think), and Tails and Trotters‘ incredible bacon and “Mojo” pulled pork from the Portland farmers’ market at Portland State University. My friend was standing in line for tamales (also excellent), when the friendly woman behind her told us we had to get the bacon at T&T. In my Brooklyn artisanal-weariness, I almost dismissed this idea. I don’t even liked pulled pork — it’s usually so boring — but both the pulled pork and the bacon had wonderful, easygoing seasonings that were just interesting enough, but still deferential to the porkiness of the pork. 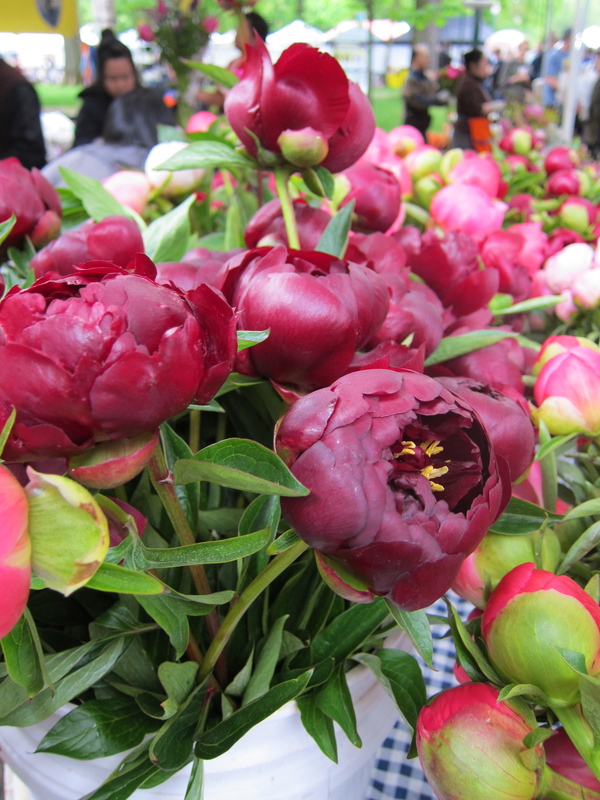 The market also had the deepest, darkest peonies I’ve ever seen. And a didgeridoo player, with children and random adults awkwardly but happily dancing to its weird sounds. My friends and I aren’t big drinkers, at least as a group, but I was glad we got a pre-dinner drink the McMenamins Kennedy School, which is an elementary school converted into a hotel, complete with brewery, bars, movie theater, and soaking pool. The soaking pool looked wonderful (and only $5 per hour! ), but I can’t understand how they make money. The pubs were so small, including the Detention Bar we sat in. 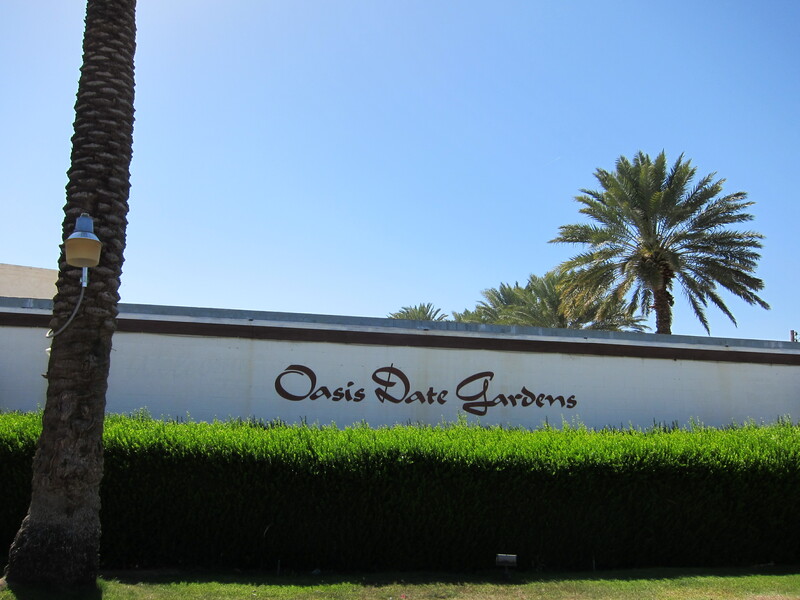 There’s a tremendous amount of care and thought put into the semi-retro, semi-Deco atmosphere, but the drinks didn’t seem so expensive, and the room rates are quite reasonable. It’s a wild and all-encompassing business, from hotel to restaurant to distillery — the White Dog whiskey I had from Edgefield Distillery was lovely. Even the changeable weather was beautiful in its own way. 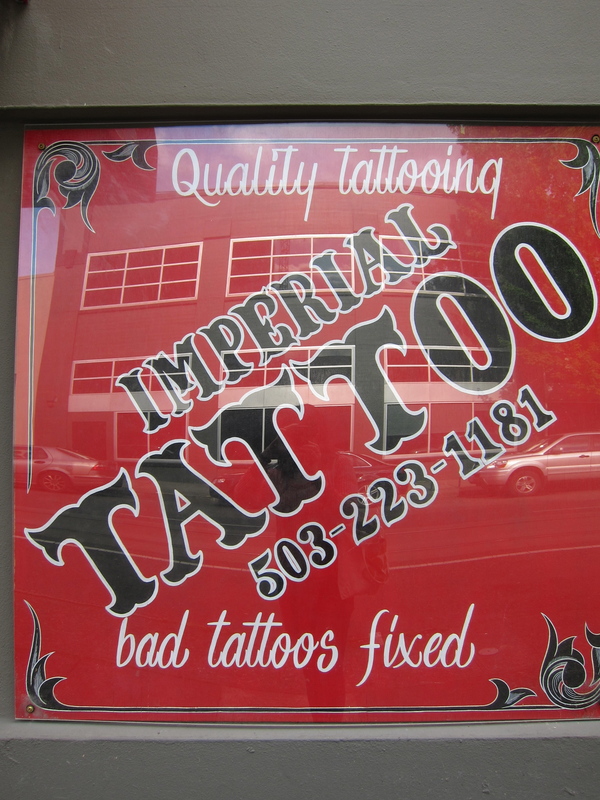 There were plenty of tattooed, pierced, Potlandia-type characters to look at, but this is a city that offers, in its own sweet way, to fix bad tattoos. If it’s made by a Korean, is it Korean food? Here’s what I know. If it’s in a tortilla, it’s Mexican food. If it’s made by a Mexican, it’s Mexican food. Is nostalgia nostalgia if you yearn for a past that isn’t your past? 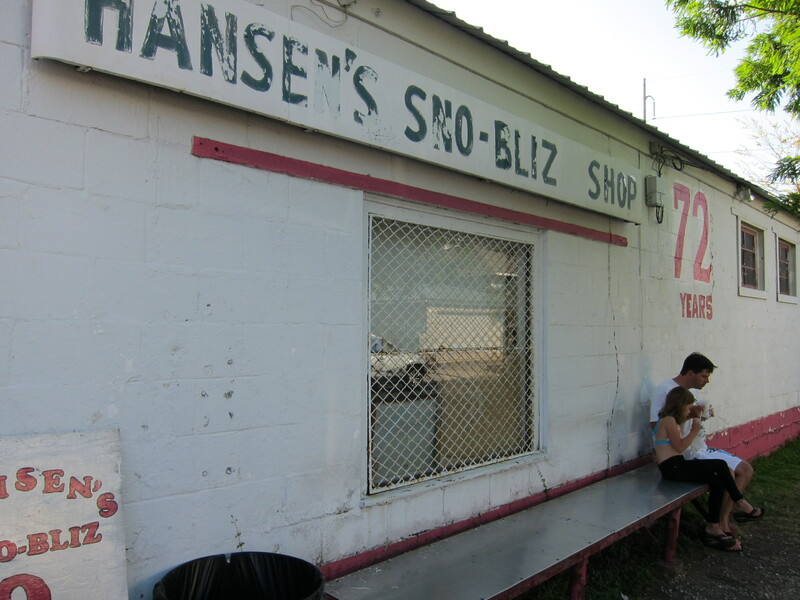 From the moment you pull up to Hansen’s Sno-Bliz on Tchoupitoulas Street, you can tell that this famous sno-ball stand prides itself on its history. From the outside, it’s a whitewashed shack of a building. There’s a long bench along the wall and above that bench, two-foot high numbers indicating how long it’s been open, repainted every year in a bright pink-red. It takes a while to see what’s inside because the line moves very slowly, but it’s worth the wait. 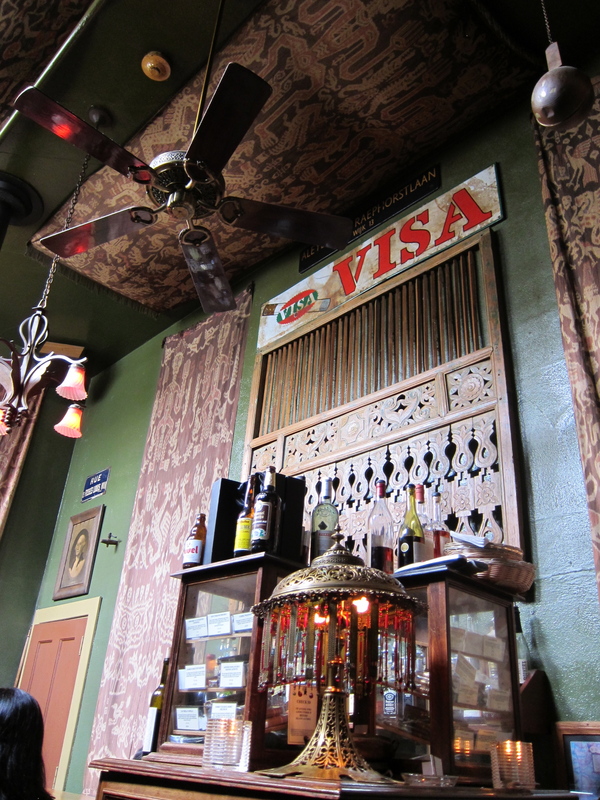 Inside, the space is hot and fairly small, but everyone is unfailingly cheerful. The walls are plastered with photos and yellowing newspaper articles about Mary and Ernest Hansen, the original owners, and photos of happy customers through the years. Where there are no photos or articles, there are signs proclaiming, “There are no short cuts to quality,” as well a couple devout expressions of faith. 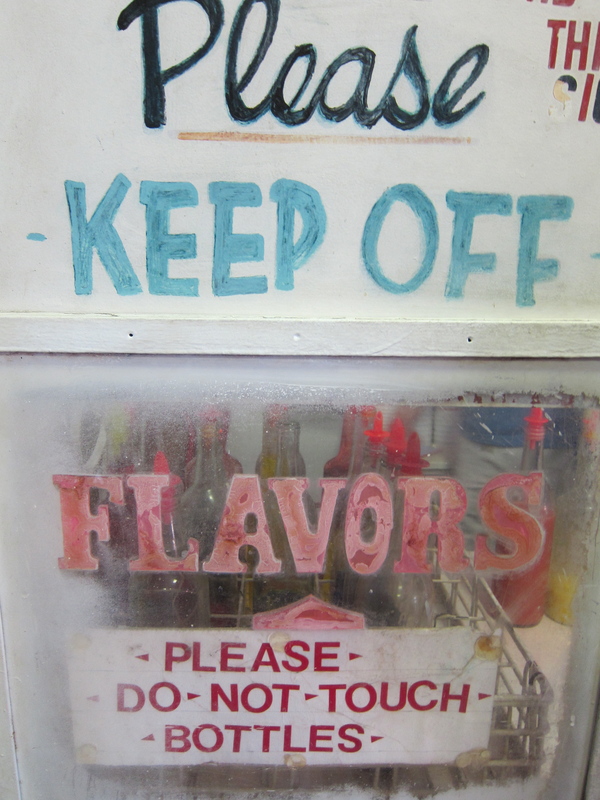 In front, by the counter, is the famous ice-shaving machine, invented and patented by Ernest Hansen, to create a more sanitary sno-ball than others were selling in the 1930s. One person mans the ice machine, another takes your money, and the last person carefully drizzles on the homemade syrup. It’s a slow, congenial operation. The man working the ice machine hands over the cup when it’s half full. Then the person in charge of the flavors pours on the syrup, making sure every last particle of ice soaks up some ungodly color, and then hands it back to the ice man, who tops it off so that the ice is twice as high as the cup. It then goes back to the syrup person who again is intent on making sure that syrup soaks through all the ice, oblivious to the syrup dripping all over her hand and the counter, though she will stop and wipe the counter clean after each order. Some of the flavors need to be refrigerated, which necessitates a step back to an ancient refrigerator. If there is a special request, like ice cream in the middle for a hot rod, or condensed milk and/or marshmallow fluff on top, that’s yet another step. This is the opposite of fast food. The flavors are made fresh everyday by Ashley Hansen, the current owner, just the way her grandmother did. There are the kind of flavors you’d expect, like blueberry and strawberry, but there’s a whole category of flavors prefixed with “cream of” that have gorgeous pastel hues. There’s cream of chocolate, cream of strawberry, even cream of ice cream, but the most popular is cream of nectar, which is a bright pink, a tinge more orange than Pepto-Bismol. And then there are “fancy flavors” like anise, ginger, and Satsuma, but these flavors are scrawled on a piece of white paper in different marker colors, and there are no promises that they are organic or all-natural. These are the kind of flavors that saturate your tongue until it turns a deep and satisfyingly orange, green or blue color. You end up with something that looks craggy and uneven, as fantastic as the surface of a far-flung, sugar-spun outerspace world. 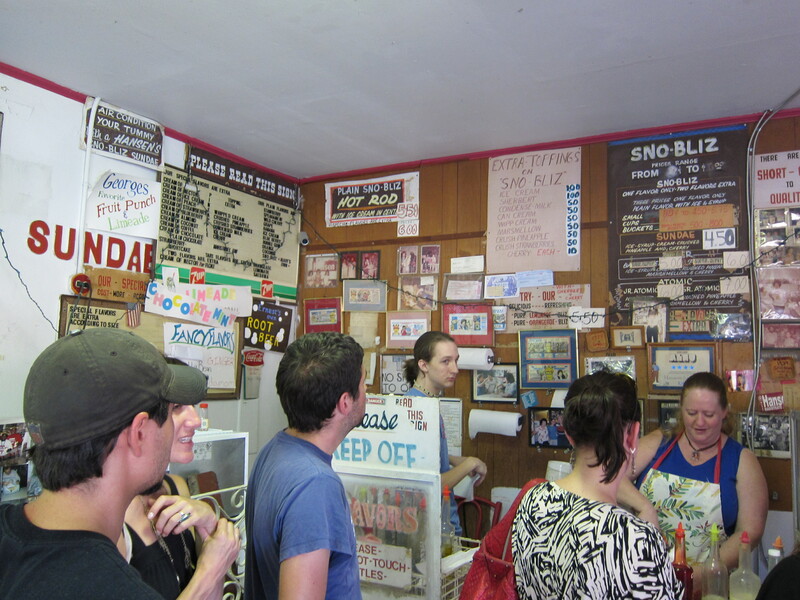 But the sno-ball, the stand, the happy people waiting patiently in line, and the happy people slowly serving them evoke a deeply familiar feeling. You don’t have to grow up in New Orleans to remember what it feels like to have something sticky and sweet melting in your hand, to be hot but not care, and to look at something extremely fake in color and be entranced. The best part? 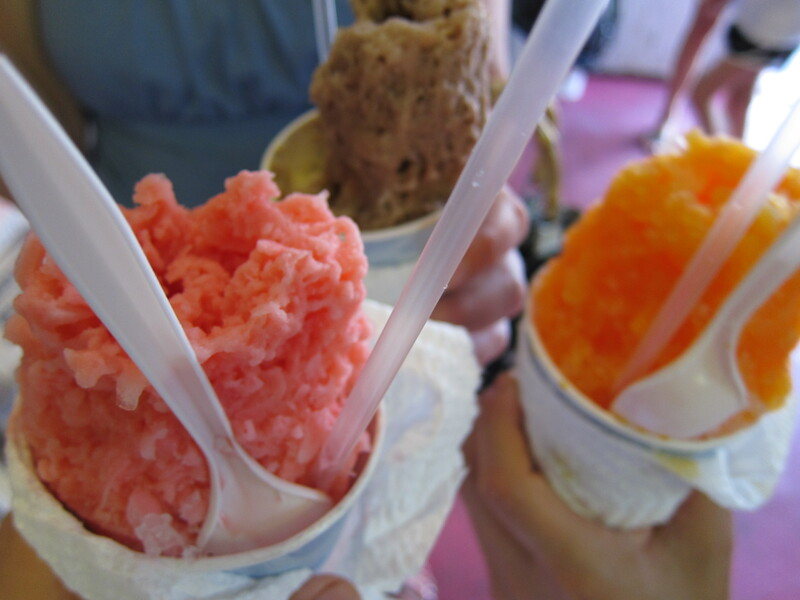 The sugary-sweet, ice-cold treat tastes as good as you remember. The ice is so cold, it tempers the sweetness of the flavors and transforms any cream you add, like condensed milk or marshmallow fluff, into something firmer, gooier, and more delicious. It’s more refreshing than ice cream would be in that heat. As their sign proclaims, you really can air-condition your tummy. If you want to hear more about its history, pre and post-Katrina, you should hear it from the horse’s mouth. A summary of the Southern Foodways Alliance interview of Ashley Hansen and her father Gerard is here, with a full transcript that’s well worth reading. Oysters buttered, oysters fried, oysters roasted, oyster pie! 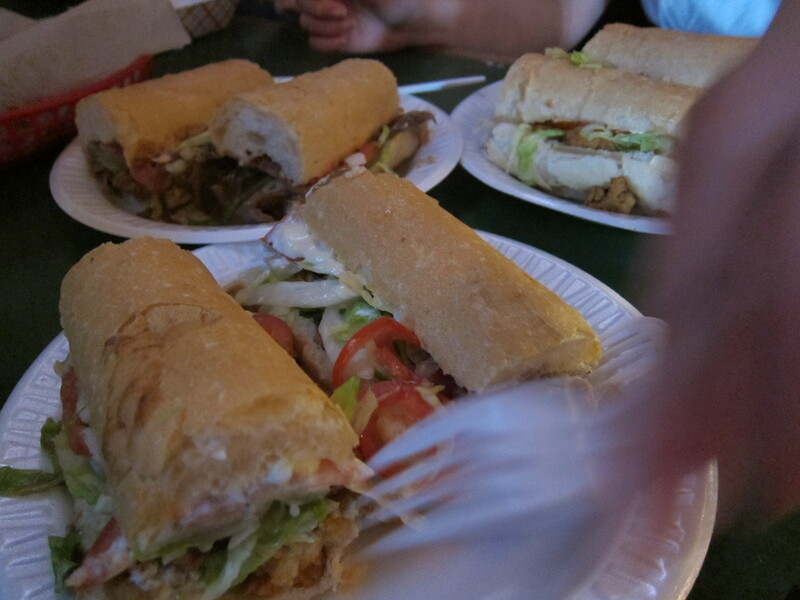 New Orleans rewards eaters who aren’t squeamish. While other cities are famous for things like chili on spaghetti, New Orleans is famous for foods that are slimy, slippery, and buggy (if not amphibious). 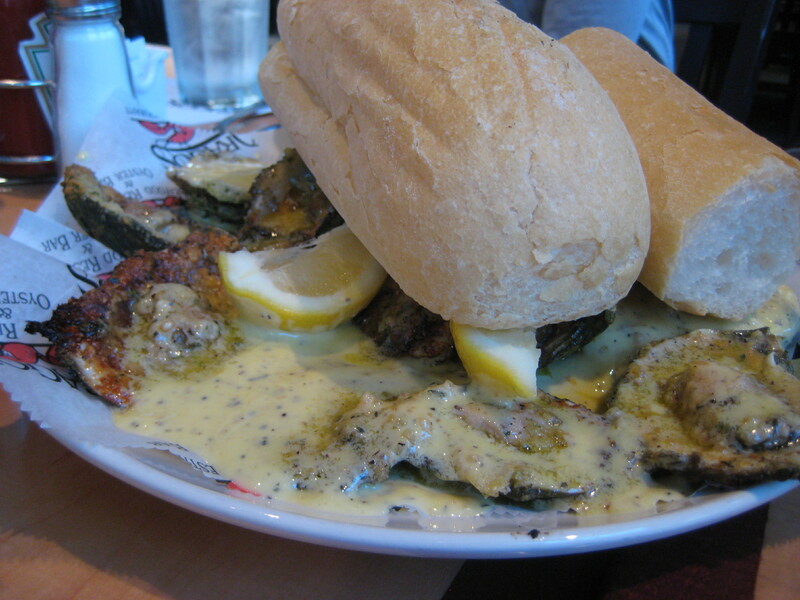 That said, the way New Orleans robes its oysters in so much butter and fat, you might not recognize them as sea animals. I tasted oysters over a long weekend in 4 forms, not one of them raw. The BP oil spill showed how fragile the ecosystem is, but normally, Gulf Coast oysters are wild and plentiful, growing like weeds and thus suitable for inclusion in a “poor boy” sandwich. They can be eaten raw, but they’re too large and meaty to be swallowed quickly and daintily. Their shells are nearly as big as plates, which means they hold all kinds of sauces surprisingly, sometimes horrifying well. 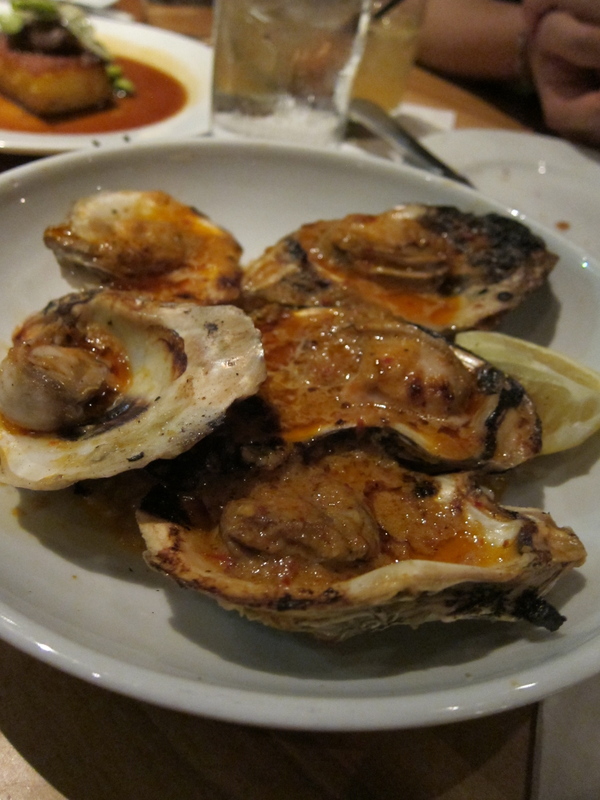 Our first oysters were the char-grilled ones at Drago’s. I ate two, maybe even three, but I regretted it in the end. They had to be eaten quickly before the fat and cream congealed. I enjoyed the flavor—it’s butter!—but afterwards, it seemed like a waste of an oyster to smother its natural flavor like that. Clockwise from top-left corner: roast beef, fried shrimp, and fried oyster. Frying seemed more respectful, and I did enjoy the oyster po’boy at Tracey’s on Magazine Street a lot more. Crisply fried, clean-tasting, and a good foil to all the pickles and mayo. The fried shrimp po’boy was even better. I only got a spoonful of the oyster and absinthe dome (see Slide 3) at Commander’s Palace, but this was a triumph, complex and delicate because the oysters had been lovingly bathed in cream, rather than drowned. 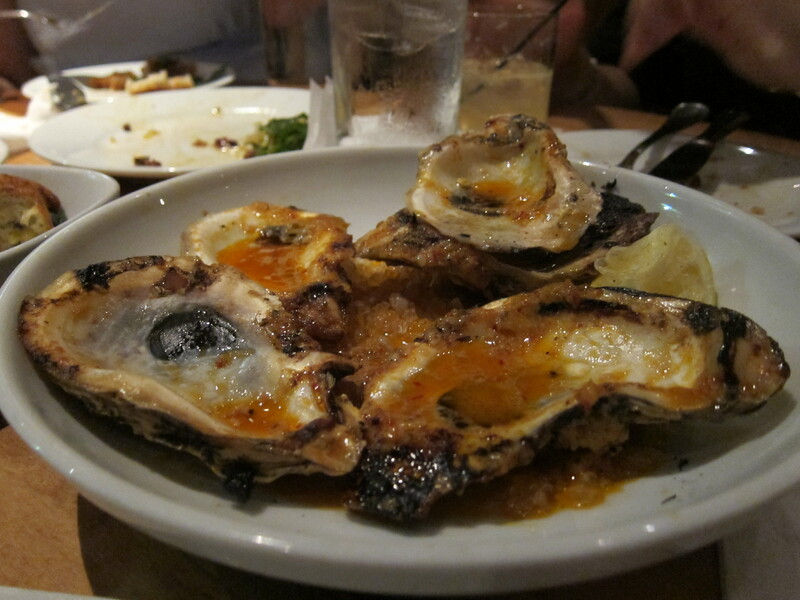 But my favorite oysters were at Cochon, the hip Cajun restaurant that won the James Beard award for best chef in the South this year. They may be famous for their pork, but I was won over by their wood-fired oyster roast. 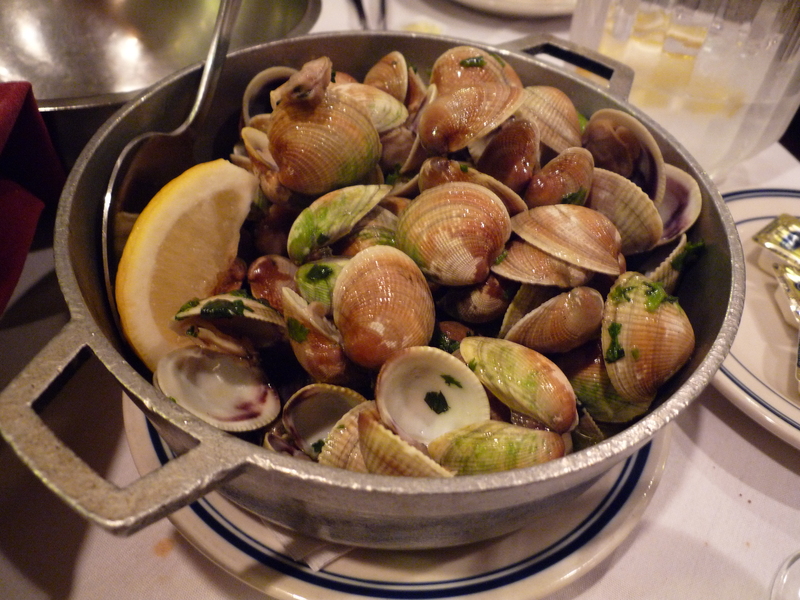 The garlicky, spicy sauce was so good I licked my bivalve clean. One day, I hope I can return and eat some local oysters nice and raw. It’s still not clear whether the local oyster industry is really back—the flooding hasn’t helped—but it’s nice to know that this weekend, people at the New Orleans Oyster Festival will be cheering for its full return. 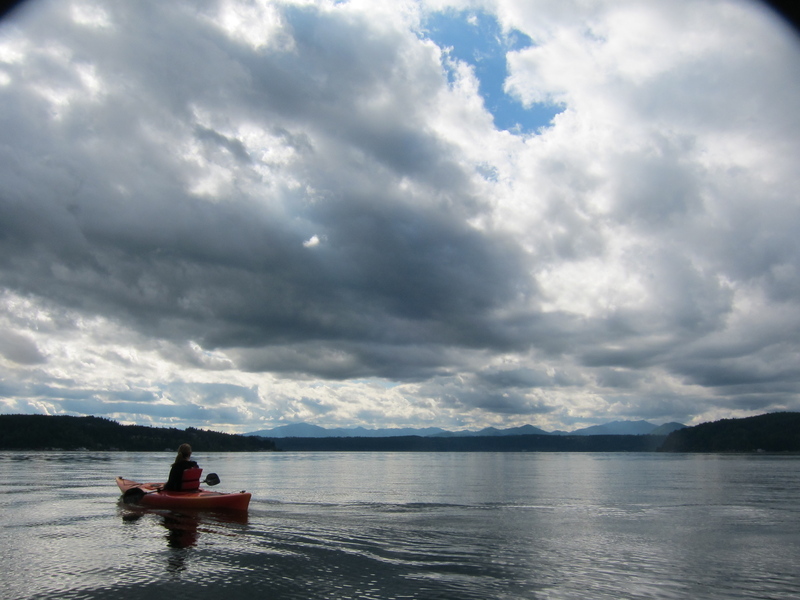 I’ve been having a bit of an existential crisis about this blog. What is the point of food writing in general? Do we really need to know what someone thinks about the same food that thousands, if not millions of other people have also tasted? 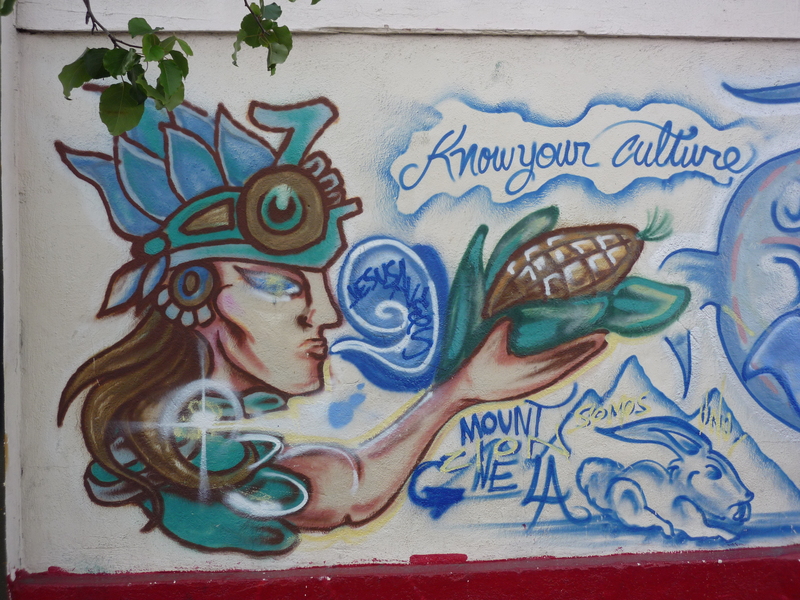 What value does food writing add to the world? Does my food writing add any value to the world? No answers yet. In the meantime, Diane insists I keep writing before my despair takes over the cookbook project, so I’m adding my two cents to all the millions of words that have already been written about food in New Orleans. This past Memorial Day weekend, my college girlfriends and I traveled to New Orleans for our annual reunion. 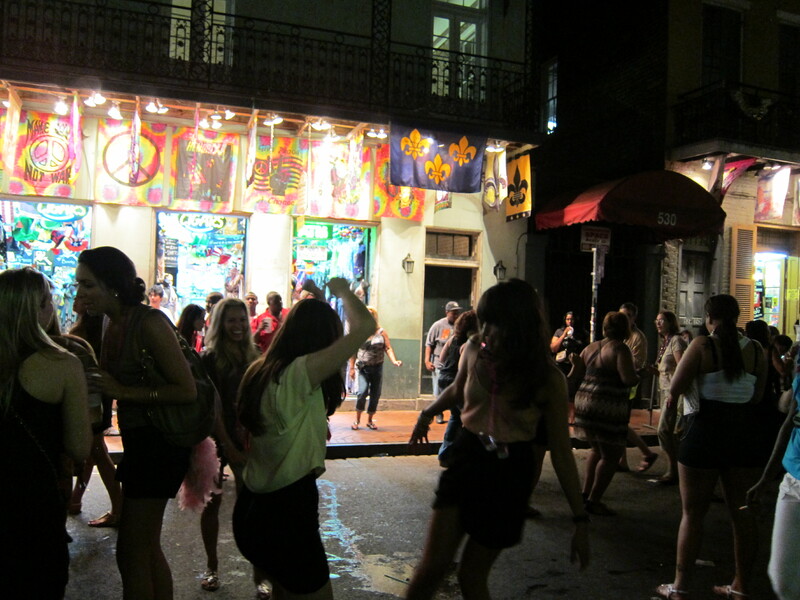 I can’t say that I fell in love with New Orleans. It was too hot to fall in love with anything or anyone. The food that New Orleans is most famous for—fried, buttered, po’boy-ed—is the kind of food that, at least for this Northerner, tastes best in cooler weather, when you want to pack on the insulation. But beignets are different. By definition, they are fried squares of dough blanketed in copious amounts of powdered sugar. They have no right to taste light, ethereal, and inconsequential on a hot summer night. Yet somehow they do at Cafe du Monde. 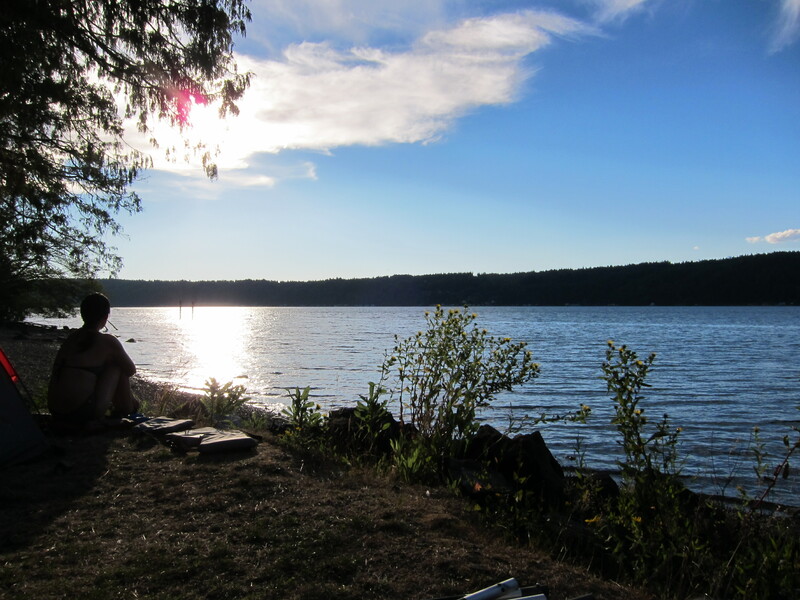 With seven women flying in from seven different locations on a major holiday weekend, we were relatively grateful that five of us managed to get in late Friday night. 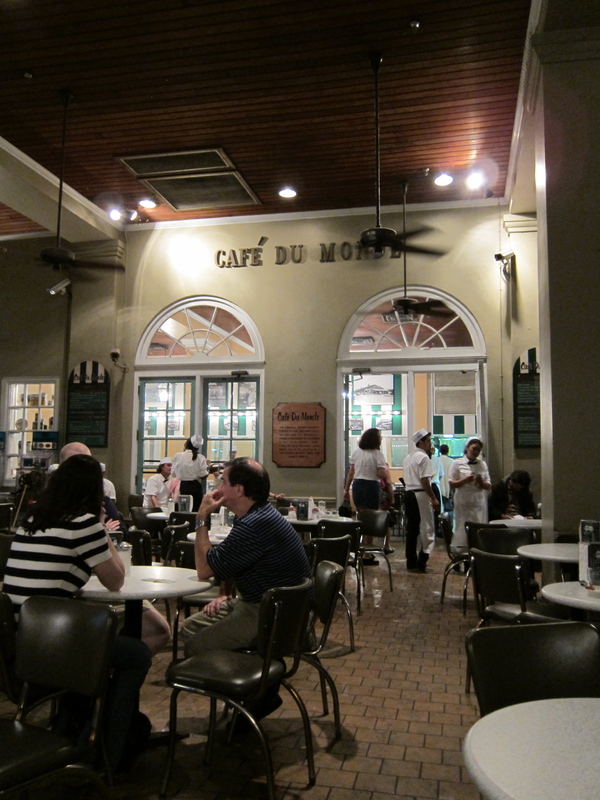 We headed to Café du Monde straight from the airport. Open 24 hours, this famed cafe sits at the edge of the French Quarter near the Mississippi River, far enough away from Bourbon Street to feel like a brightly lit refuge, with its green and white awning glowed in the night. Not that there’s any real Old World charm. 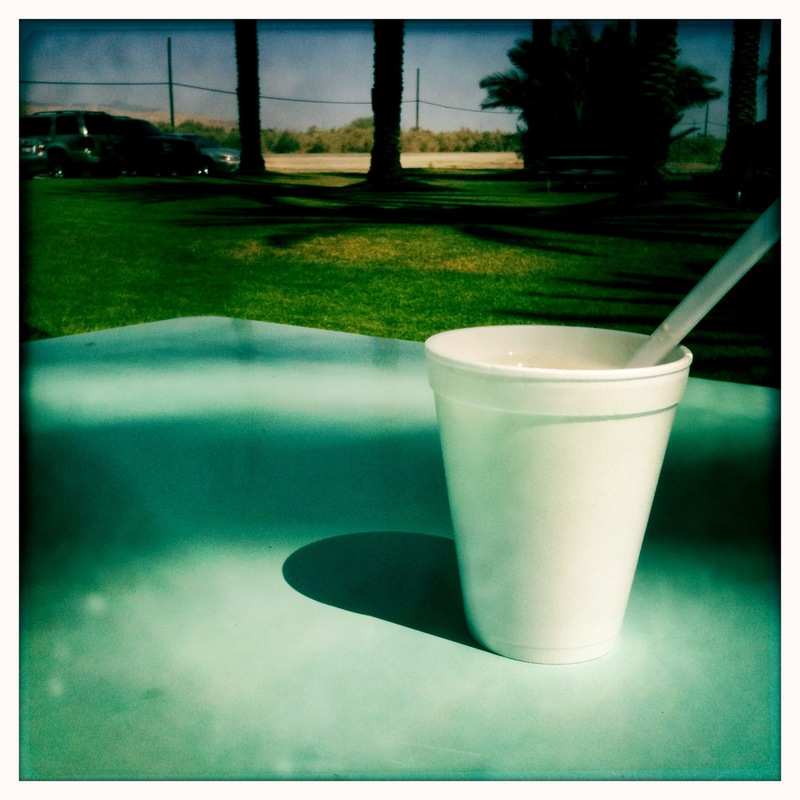 The coffee is served in Styrofoam cups with flimsy plastic lids. The chairs are equally flimsy, clustered around laminate tables looking ever so faintly like marble. The ceiling fans do little to move the hot air. The service is slow and not particularly gracious, and the floor tiles are noticeably sticky. 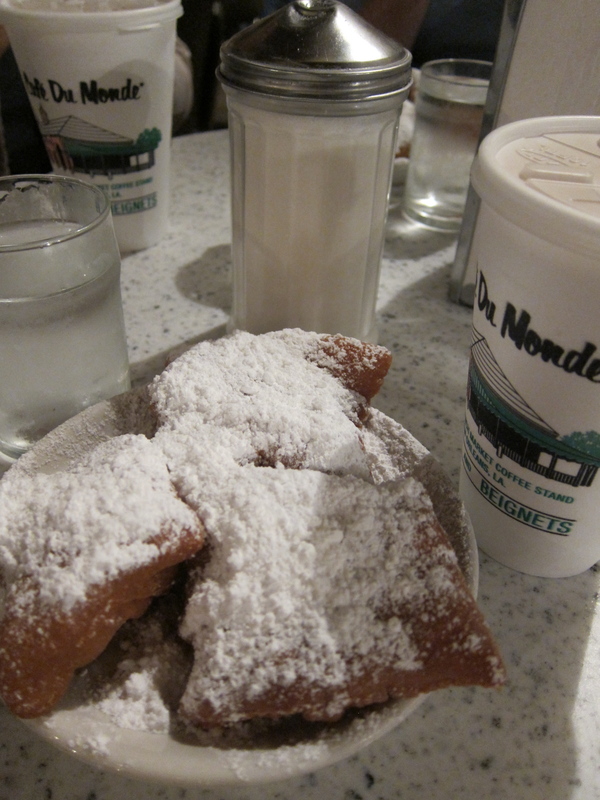 But as I bit into a beignet and puffs of powdered sugar fell on the floor and on me, I knew why the floor was sticky. I knew others had done the same all day, with probably the same joy and surprise that this tourist trap actually served fresh, hot, delicious donuts with the unmistakable flavor of good, serious dough. If the floor was sticky with the residue of a hundred thousand beignets, so be it. If the night was sweltering, so be it. I think that’s what I loved most, the feeling that nothing at that moment mattered as much as catching up with some of my closest friends, eating beignets and slurping frozen cafe au laits in the middle of the night. 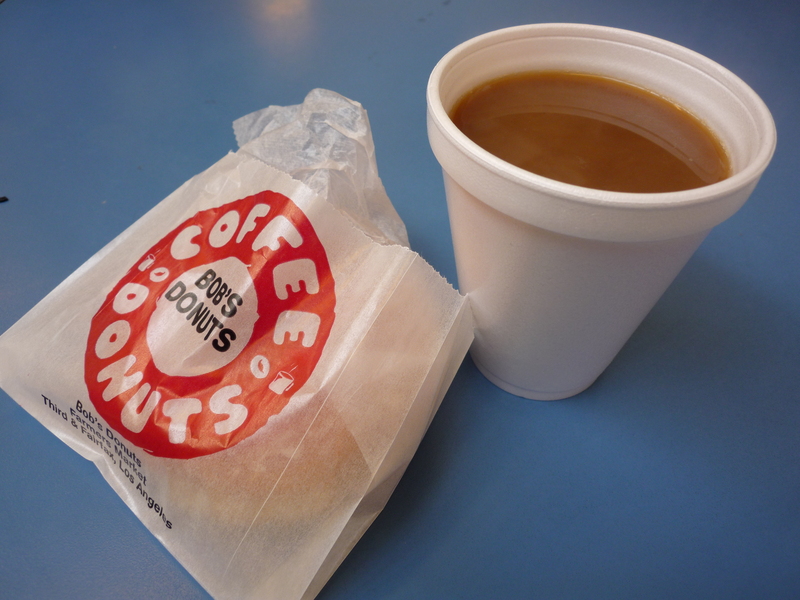 The donut is not the best donut in the world, and the coffee is not the best coffee in the world. But both are honest, real pleasures. So hooray, New Orleans! Beign-yay! 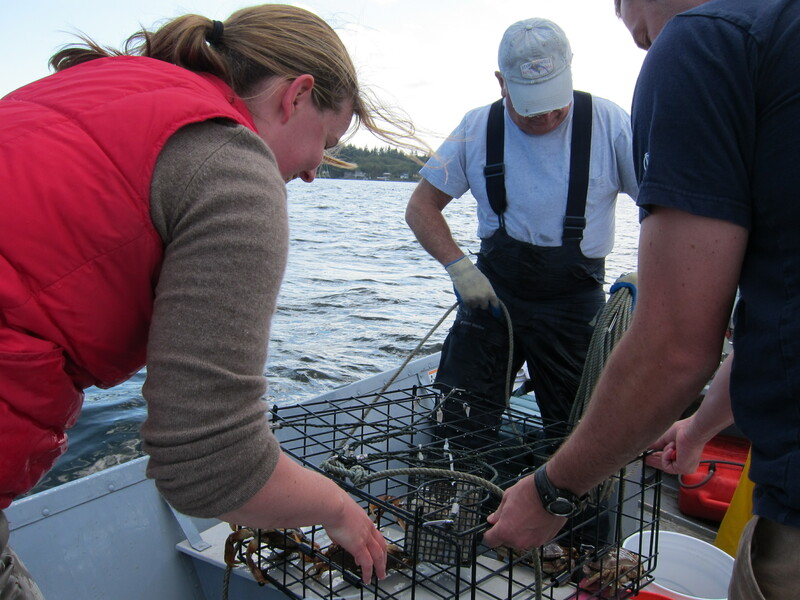 Catching crabs off Bainbridge Island (technical term: “pulling pots”). 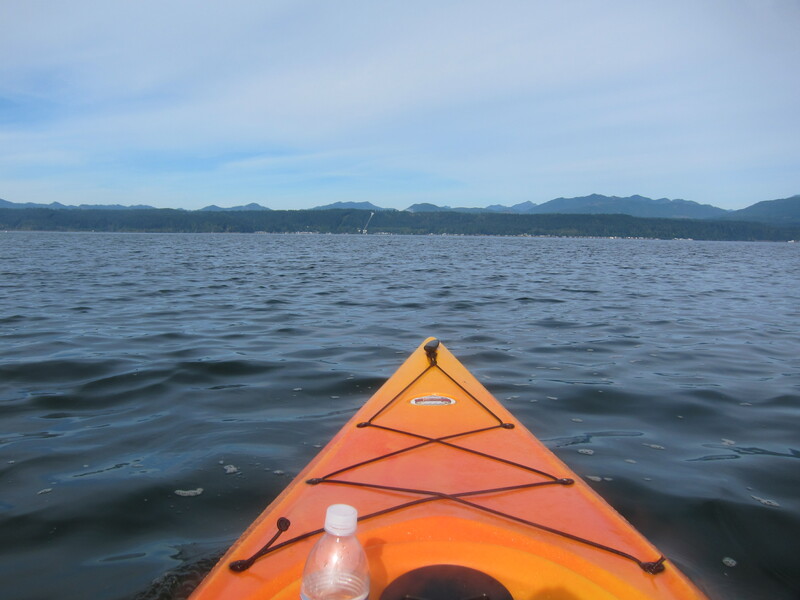 Water is like salt — it makes everything taste better. Here at the Crab Claw in St. Michael’s. Those scary, wormy clams are delicious, especially when dipped in butter. 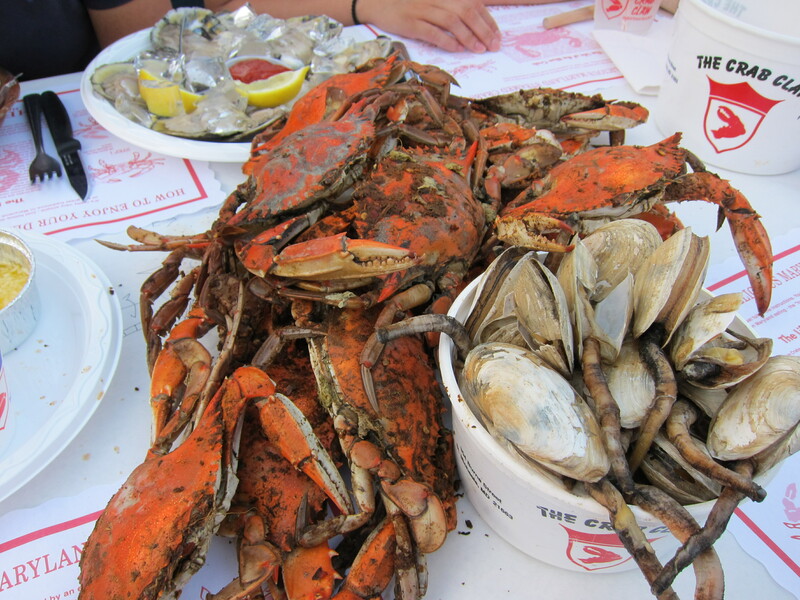 Bigger and better crabs at Mike’s in Annapolis. 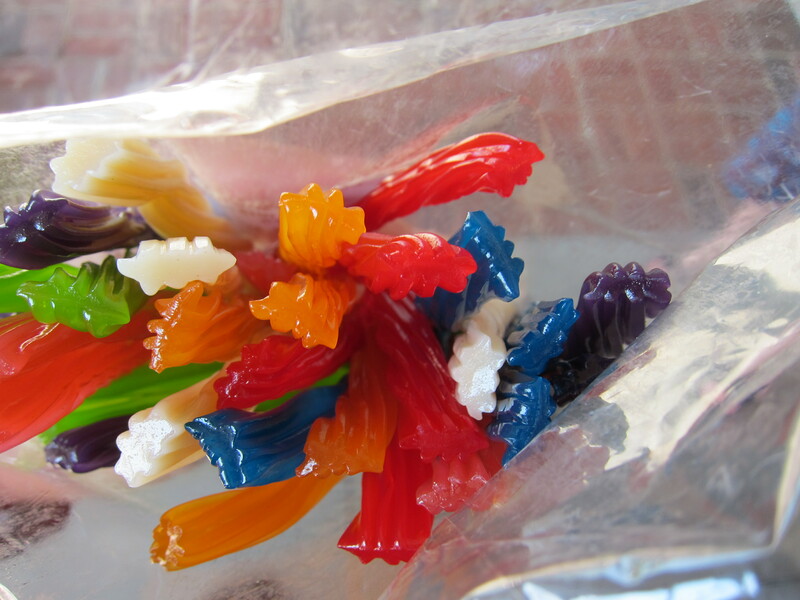 And rainbowed licorice whips from the Amish market in Harbour Center, Annapolis. Driving my rental car out of Los Angeles International Airport, I felt for the first time that I might love LA. The freeways were clear, the city lights shone like webs of jewels thrown over the hills, and the palm trees really were as high and skinny as they look on TV. 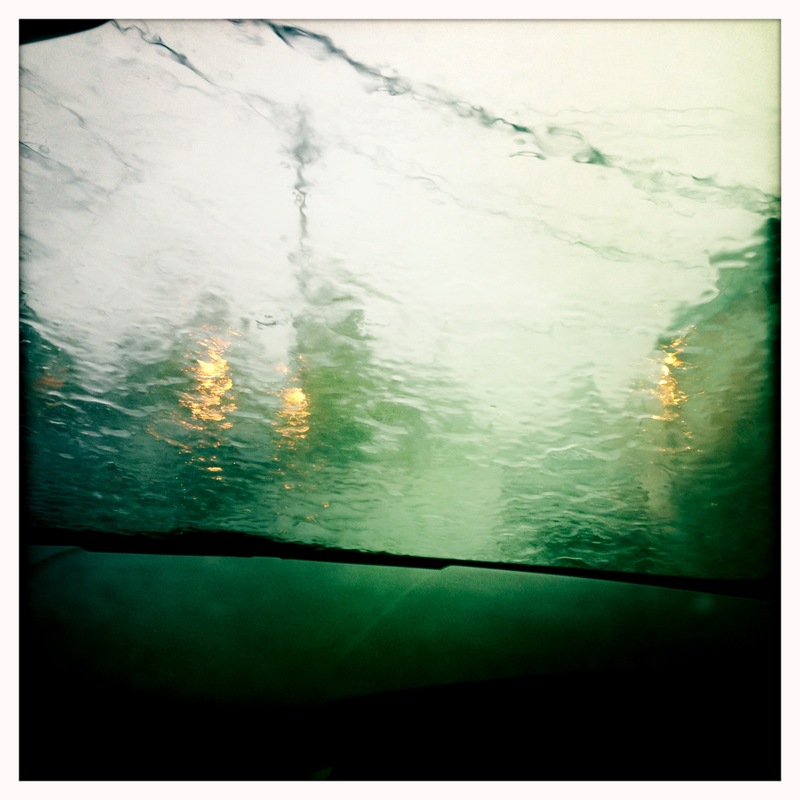 I turned the radio on loud, and even the music sounded less burdened, the same music that plays in NY. 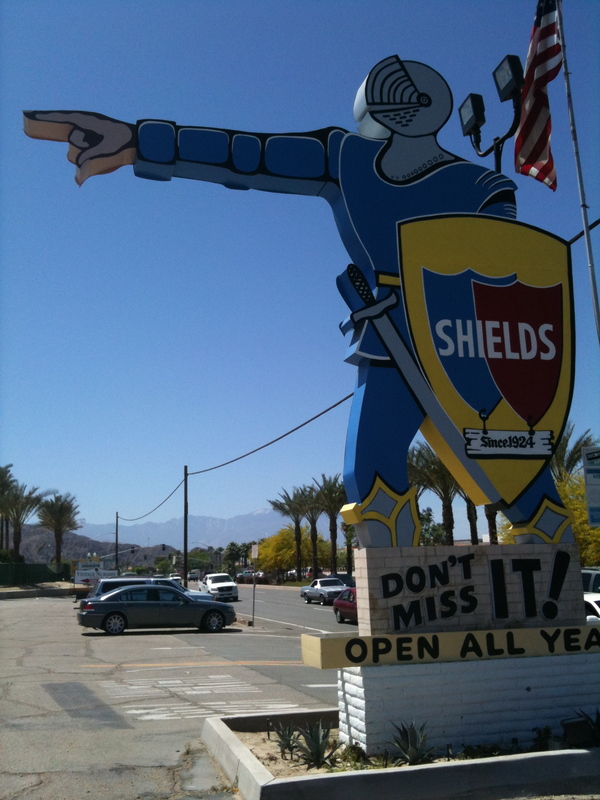 I’d been to LA a dozen times before, but this was the first time I was driving in LA. I could have driven all night. I wasn’t in LA to eat. I flew in late Friday night, went to a wedding Saturday night, and flew out Sunday early afternoon. I stayed with an old friend, visited an even older friend Sunday morning and played with her new baby. But I did manage to eat some LA food. None of the crazy new places people line up to try, in fact, I’m not sure if any of the places I ate are actually famous, but they had food that tasted like the LA that appeals to me most, as easygoing as the first fast-food hamburger slapped on the grill. 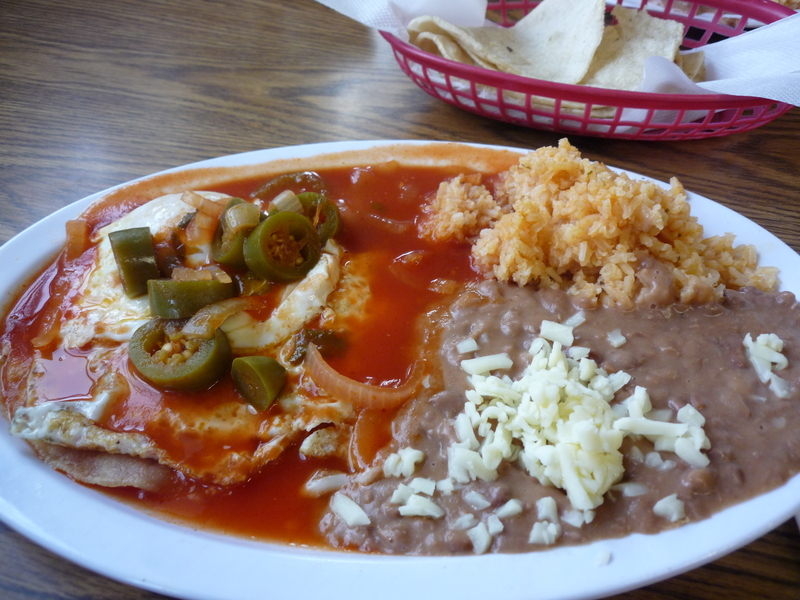 A plate of huevos rancheros at La Abeja, with Mexican murals on the outside and Three Stooges bobblehead kitsch on the inside. 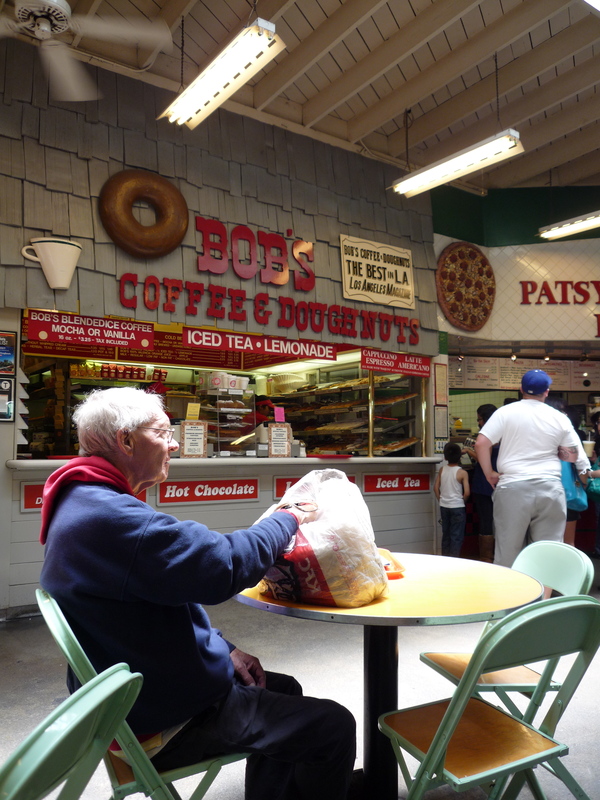 A donut and coffee in a styrofoam cup at Bob’s Donuts at the “Farmers’ Market” at the Grove, which doesn’t feel so much like a farmers’ market as an old-school market of food stalls selling food that was most popular in LA 50 years ago, with one exception: Pinkberry. The coffee plus donut cost $2.30. $2.30! I have been living in NY way too long. A taco de lengua and a burrito de carne asada at King Taco on my way to the airport. I wolfed down the burrito at the stop for the shuttle to the airport. I desperately regretted being too cheap to buy a drink—the hot sauce almost killed me. 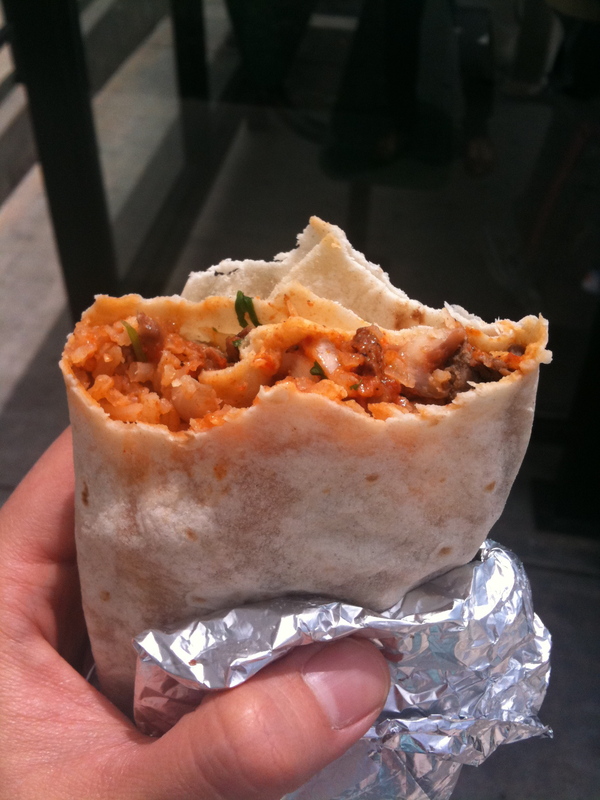 It was nothing like the Cal-Mex burritos of San Francisco. No cheese, no sour cream, no guacamole. But lots of rich, spicy spicy spicy sauce. I’m not surprised my friend Angela pointed me there. She would paint her tongue with Tabasco if she could. I want to come back soon, to drive and drive and drive, and eat tacos in between. The cookbook is coming along slowly but surely. Diane’s been on fire since she came back from Turkey and friends and family have started testing recipes. It seems increasingly possible that we will finish. Which means I don’t need to feel guilty about eating Portuguese seafood in Newark instead of cooking Korean food at home. This past weekend, a good friend and I went hiking in New Jersey. It was five hours of the same forest view, which is fine if you don’t have memories of the Marin headlands of northern California. 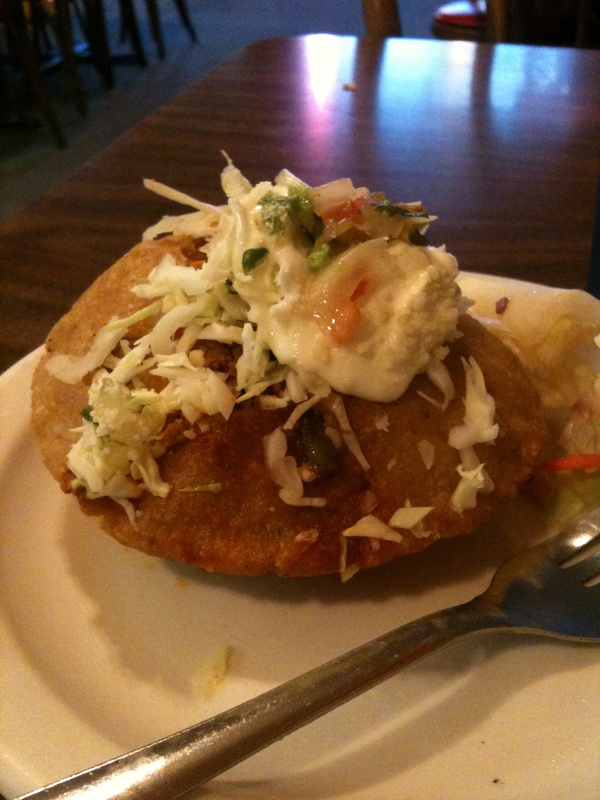 I was still happy to get out of New York, though, and even happier when we started eating dinner at Seabra’s Marisqueira in the Ironbound District. The restaurant is casual and easy, with a celebratory air that doesn’t keep you from cracking lobsters and sucking clams with gusto. It’s the kind of restaurant that’s practically extinct in gentrified Brooklyn and slicked up Manhattan, popular without being scene-y, without a drop of irony or self-consciousness. 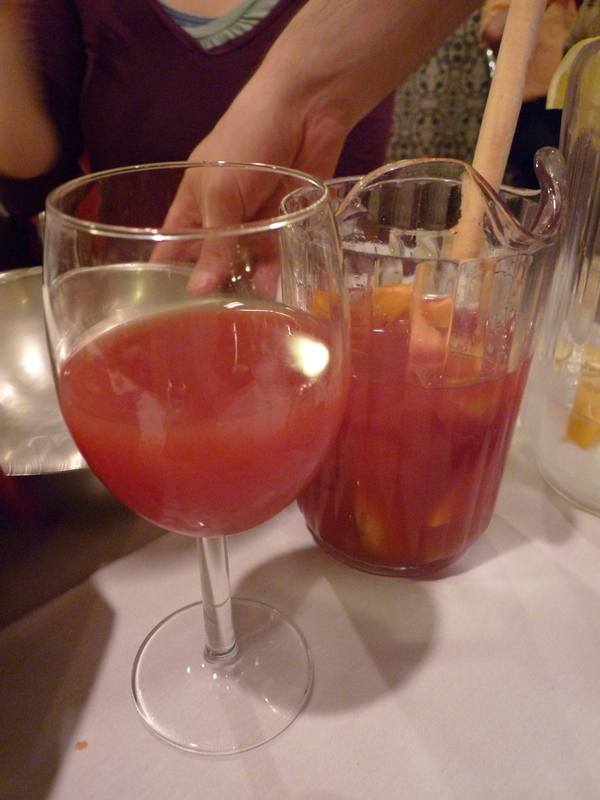 Almost everyone had a table of sangria at their table, fizzy, light, and frivolous like all sangria should be. 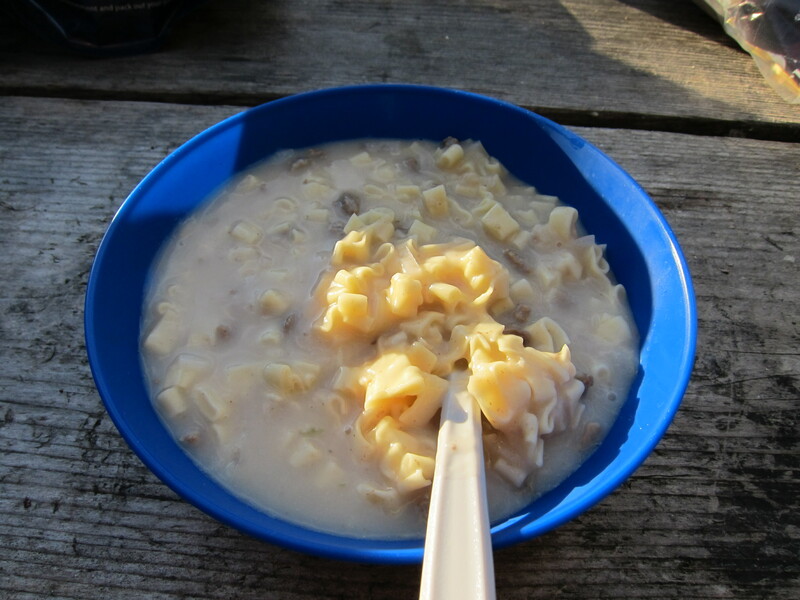 We started by splitting their delicious shellfish soup, which was brought to us in two bowls with some moist towelettes, lobster crackers, and little forks to pull out the meat. It was a very generous soup. We thought the waiter had misunderstood and sent over two orders; it turned out the regularly giant bowl of soup had been split in two. Becca couldn’t stop raving about it, and as she said herself, she normally doesn’t care that much about food. The big bowl of cockles here was listed under appetizers. A little gritty but effortlessly fresh and delicious. 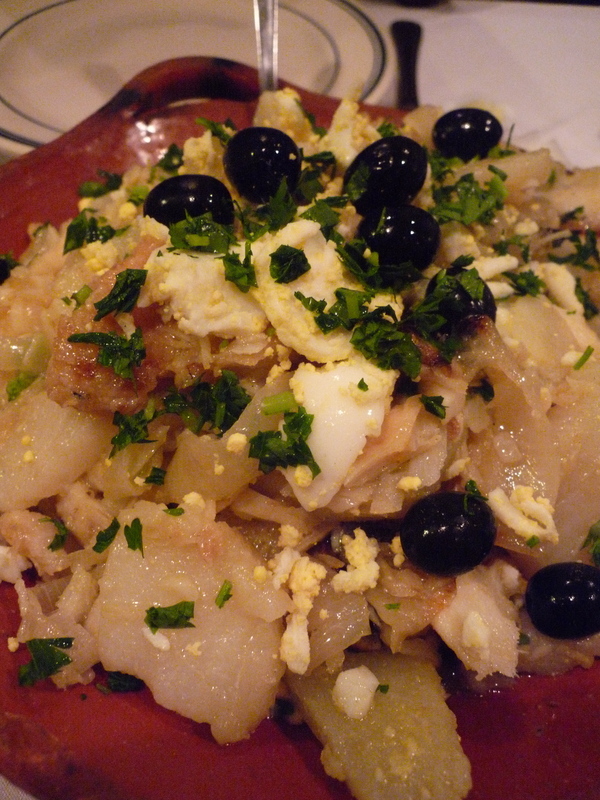 I’ve never been to Portugal, but this is what I imagine Portuguese peasants used to eat everyday — salt cod baked with potatoes and olives. I didn’t love it at first, but its unpretentious flavor grew on me. I happily ate the leftovers cold two days running. Our waiter was so charming and cute, I’m sorry we shocked him by declining dessert and coffee. Instead, we went across the street to Riviera Bakery where I pretended there were 10 of us, instead of two, and bought two boxes of pastries. The pastries were so-so. The pastel de natas (top left corner) had a great crust but the egg custard tasted like fake vanilla. 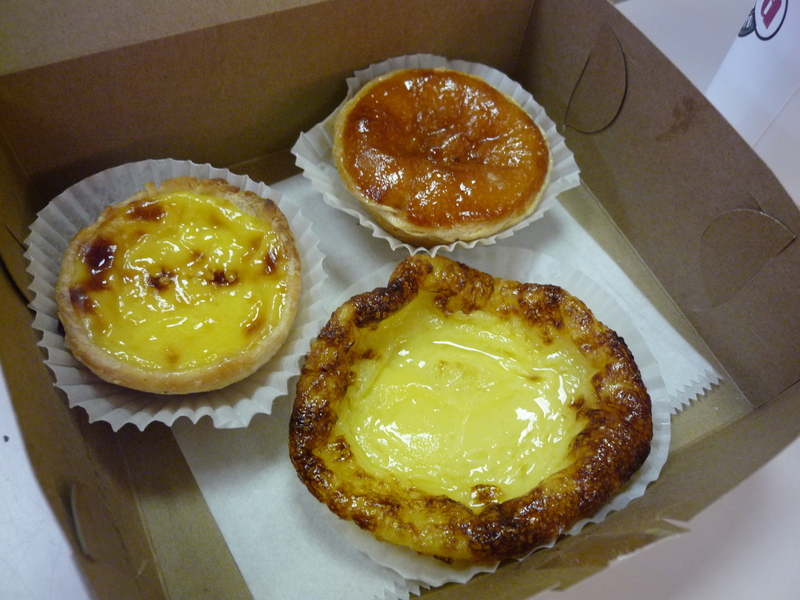 A friend of mine told me a lot of Chinese pastries, including egg custard tarts, are originally Portuguese, from when Portugal controlled Macau. They definitely look the same. But I still loved the bakery with its pastries as big as your face, in a neighborhood full of middle-aged Portuguese men just walking around that warm night. There was a store across the street full of Portuguese and Brazilian soccer knickknacks, ceramics, and lacy baby clothing. Another sold what looked like Portuguese-brand vacuum cleaners. It reminded me of similar stores in Fort Lee, New Jersey, except the appliances there are Korean. I don’t know why immigrants feel a need to buy their country’s vacuum cleaners when this country has plenty of its own, but there’s clearly a business in it. Becca and I are plotting a trip back soon with a larger group. We want to order the seafood skewer, which judging by our neighbor’s meal, is a huge sword of squid and shrimp hung vertically on a stand over a ginormous platter of rice.